Do it Yourself: Vintage Bookmarks | Couture Makeup Blog - Makeup Artist Serving San Diego and Orange County. 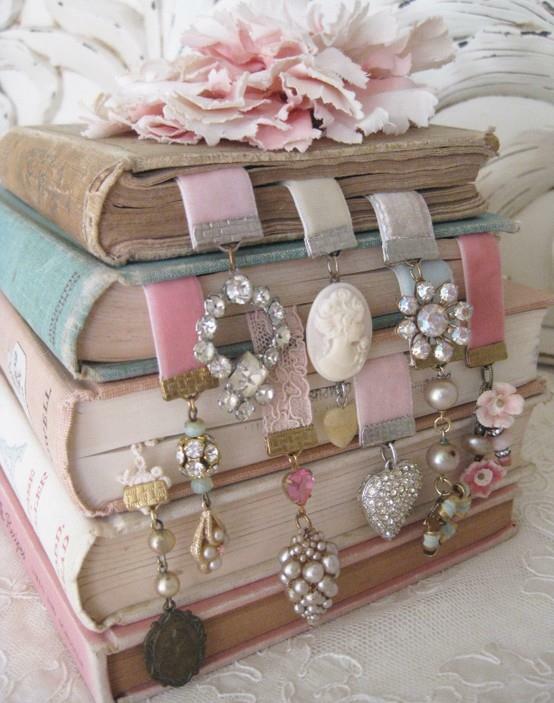 These charming, girly, oh-so-cute vintage bookmarks are a wonderful and unique gift idea — perfect for any special woman in your life. Mothers, grandmothers & friends who like to read would definitely love one of these adorable handmade gifts. This creative design and idea is brought to you by jewelry designer Andrea Singarella, who fashioned these up for just a few dollars each! Note: Michaels probably has all of these items if you’re looking for a one stop shop!